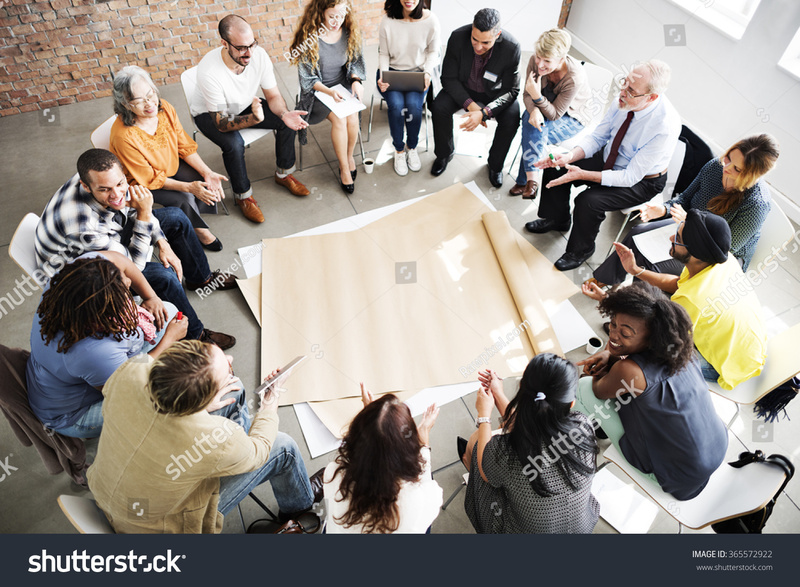 Home / Group discussion / Group Discussion, Types of group discussion & its importance. Group Discussion, Types of group discussion & its importance. An organization consists of people who play different roles to run it smoothly. For the selection of efficient staff, the organization uses a tool called group discussion. Literally, group discussion is an important activity that involves two or more people who exchange their ideas on some problem for a specific duration to obtain a possible solution. Group discussion is a kind of mirror that captures the reflection of various aspects of a candidate's personality. As a prism disperses white light of the sun into several colors, in the same way, group discussion makes visible the real hue of candidates. It brings forth the hidden potential. It is like a chemical that reacts with a mental solution of candidates to cause precipitation of his/her qualities and so it plays an important role in the recruitment process. A Group Discussion as a parameter screens candidates in and out. 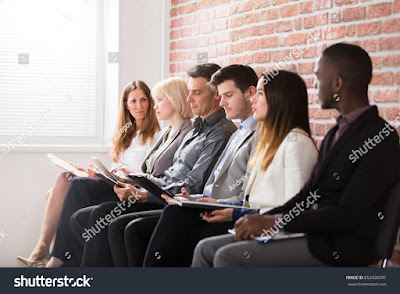 It is like an audition, organized to see the suitability of candidates for specific roles. Through a group discussion, the selection panel observes communication skills of candidates. They carefully detect the candidate’s clarity of thoughts, his/her expression and listening ability. Along with that they also look for cooperative skills, team spirit, and leadership qualities. It is observed the way candidates support, encourage and welcome each other’s ideas. Various agreements and disagreements seen in discussions help the panel to decide on analytical abilities of candidates. Their reasoning, focus, knowledge, presentation of facts and figures attract the attention of the panel. Above all the behavior, body language and pleasing attitude of candidates win panel’s heart. It will not be wrong to say that a group discussion is like an intensive care unit where candidates are kept under observation. The subject experts are called for judging group discussions. Group discussion proves beneficial not only for recruiters but also for candidates. When you think of the advantages of a GD, it reminds you of the churning of the ocean by gods and demons for obtaining nectar. A group discussion fulfills our intellectual need for expression and comprehension. It has the power of making even shy and reluctant people conversant. We all wish that somebody should listen to us and a group discussion grants that wish also. A GD provides a ground for nurturing of seeds into plants. A group discussion creates a unity or an understanding among candidates that even if they disagree with each other they know it is for solving a problem and that way a group discussion helps in team building. A GD pulls out the expertise of candidates. A group discussion helps in improvement of communication skill of members. It gives birth to divergent thinking and polishes thought pattern. It sharpens analytical or logical thinking ability. It increases knowledge. A group discussion helps one to find the missing link in his/her thought process. A GD is a good tool for viewing one thing from different perspectives. So friends instead of fearing from a group discussion, learn to embrace it. It is conducted for judging the decision-making skills of participants. Candidates are subjected to situations in which they need to provide a solution to the given situation. The situation can be related to business, social, political or education. When we talk about a solution then there has to be some problem and when there is a problem there has to be somebody causing it. So the trick to finding a solution is to identify the central figure first then the kind of problem that popped up due to him/her and then the possible solutions. These are woven with the view to evaluating a candidate’s creative thinking. Abstract means something that does not have any concrete form. The topics given for abstract discussions have no proper meaning. So the thoughts related to such topics are based on an individual’s perception of the topic. So a single topic can raise a variety of subjects. Abstract topics are often vague. The trick is to be able to line a very unclear topic or thought with something real or a real-life example. It’s like you have to derive a wonderful meaning out of something extremely meaningless. That is the kind of creativity you need for such topics. For example, the word “red” can have a wide range of connotations or can be perceived in different ways by different people. It can signify color, the emotion of love, the emotion of anger, blood, flower, carpets, etc. The word “red” as color can further be associated with bulls which can further be discussed in terms of popular bullfights and so on. So a single word opens up a wide range of subjects or issues which further open various examples or events connected with them that can be discussed. It is like spinning a spider web. IIM aspirants in GDs try to connect the abstract topic with different aspects of economics, politics, sports, environment, entertainment, movies, and humor. They are mainly designed to check the maturity of candidates. It is like throwing a stone in a lake to judge its depth where ripples of rational or nonemotional stands taken by candidates are closely observed. How the candidates react when their arguments meet with counter-arguments. The controversial topics can be in the form of a question or a statement. Topics are based on facts. It covers a wide range of news. Factual discussions are done to find out the awareness and sensitivity of candidates about the events happening in their environment. Like what is the present scenario, its effect on various aspects of life and measures that can be taken to improvise things. Group Discussion (GD) is like a parliament in a session where statements and counterstatements, agreements and disagreements are registered. Candidates play the role of either defender or offender as per their knowledge, opinion, and choice. Though all have special parts to play, all the candidates need to follow the basic role of a positive participant. Generally, in GD, a problem-based topic is given for discussion and candidates are expected to use their analytical ability to measure its pros and cons and come out with the right decision. It becomes necessary for all to think about the topic rationally and prepare their points logically with facts and examples. They need to think about how to solve the problem and prepare relevant questions which can constructively lead the discussion to a solution. While speaking, his/her speech should be loud, clear and audible. Everyone should try to present their ideas in simple language without using complicated terms. The goal should be to convince others. One point at a time must be discussed. When one is speaking then others should listen carefully and if possible should make a note of the idea and state if they agree or disagree. Here others can also note if there is an additional point in context to the idea which they can relate later on. It will save time and there will be no repetition of ideas. The speaker should not be interrupted. In case if they disagree they should note the relevant reason for the same which they can convey later. The disagreement should be shown in a polite and tactful way without hurting others. Instead of bluntly denying the idea, elaborations and logic can be asked for the idea. It should be kept in the mind that all are expressing their views to get a correct solution and all agreements and disagreements are for the expressed ideas and not for the speakers. Therefore all should display a healthy team spirit. This general instruction manual must be followed strictly as it decides on the positive and negative roles of participants. Broadly there are four types of roles played during GDs namely Initiator, fountainhead, piggy rider, and spectator. The interesting fact of GD is that these four roles are switched among candidates as per their knowledge, attitude, and expression from one idea to another. Initiator - The initiator is somebody who acts like a beacon light. Just as a beacon light shows the presence of rocks and path to ships, in the same way, the initiator defines the topic and tries to lend the discussion a specific direction. Fountainhead- Fountainhead is like an innovator who now and then bubbles with new and fresh ideas and pours them in a discussion, which serves as food to think for all. S/he keeps the fire of discussion burning by poking or pushing woods of strong and important points related to the generated ideas. S/he acts as a soul to the body. Piggy- Piggy rider is somebody who rides on the existing ideas in the discussion. S/he speaks after listening to others and can be termed as a best actress or actor in supporting role. Piggy riders form the body which is now and then shaken by the soul to realize their awareness. They mostly work as elaborators for the existing points in the discussion. Spectator- The spectator is somebody who makes a negligible contribution in the discussion. S/he does not take the discussion seriously and interrupts the process with inappropriate behavior. GD is not a spectator’s sport. The entire group has to come into the play. Never be a spectator in a GD. Other than these four roles, there is one more crucial role of a leader that has to be played for moderation of discussion. Usually, in GDs, somebody is asked to play it or sometimes initiator or fountainhead takes over this role. The leader mainly has to ensure participation of all the group members by asking questions and offering suggestions. The leader may have to act as an elaborator, coordinator, energizer, harmonizer, and encourager. S/he has to strike a balance in discussion and be vigilant that no particular subgroup leads and influences all unless their arguments are coherent. S/he has to watch that useful ideas generated in the discussion are well built for reaching solutions. S/he has to guard the group against the negative behavior of individuals like putting others down, interrupting and fighting tendencies. S/he has to continuously drag spectators into piggy rider category. S/he needs to ensure that the disagreements should be analyzed properly. And finally, summarize the entire discussion and its output. A Leader is somebody who puts the various pieces of the jigsaw puzzle together.